Galaxy Blue Sapphire Plaza located at Greater Noida West is the finest commercial property for sale. Equipped with irresistible amenities and features always make Galaxy Blue Sapphire Plaza worth buying. 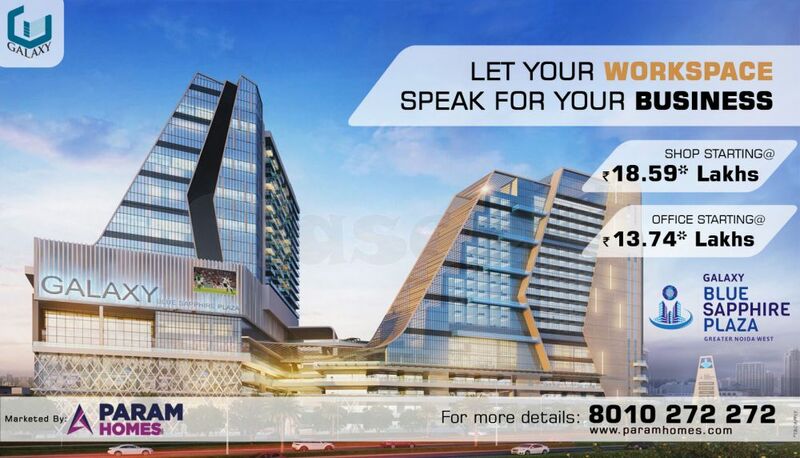 Galaxy Blue Sapphire Plaza offers commercial spaces, office spaces and retail outlets.